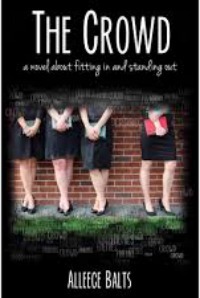 One of the books I enjoyed reading lately is The Crowd by Alleece Balts. Today, Alleece joins me to talk more about what inspired her to write The Crowd and what we can look forward to when Ella’s story continues in The Journey. ME: I find that a story is often inspired by a question. Was there a question that inspired you to write The Crowd?